Velas Resorts is comprised of four luxury resorts with a total of 1,170 guestrooms and suites from Puerto Vallarta to the Riviera Maya. The properties – the Grand Velas Riviera Nayarit, Velas Vallarta Suites Resort, Casa Velas Puerto Vallarta and Grand Velas Riviera Maya in Playa del Carmen – feature luxury accommodations, world-class spas, gourmet restaurants, gorgeous landscapes and incredible hospitality. 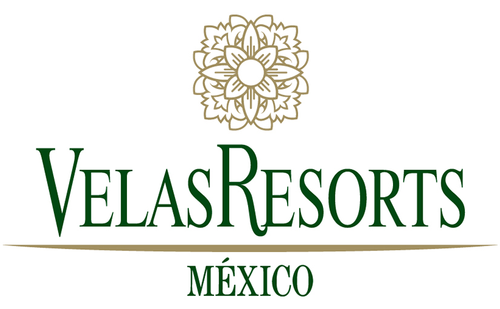 Velas Resorts is owned by the Velas brothers, who believe in the art and passion of hospitality. They are dedicated to creating unique luxury vacation experiences throughout Mexico for travelers from around the world. Juan Vela and Eduardo Vela Ruiz understand that having a vision means being a visionary. The resort company is passionate about improving and staying on top of trends, whether it is running an eco-friendly hotel, offering holistic wellness spas or utilizing state-of-the-art technology. Each of the four resorts has received a number of prestigious rewards from the travel community. Velas Resorts in Riviera Maya, Puerto Vallarta and Riviera Nayarit have earned 26 AAA Diamonds, including the prestigious Five Diamond Award as well as many other honors.